Jesus is Lord of the Heavens & the earth. He’s Lord of our hearts, our fears and dreams. 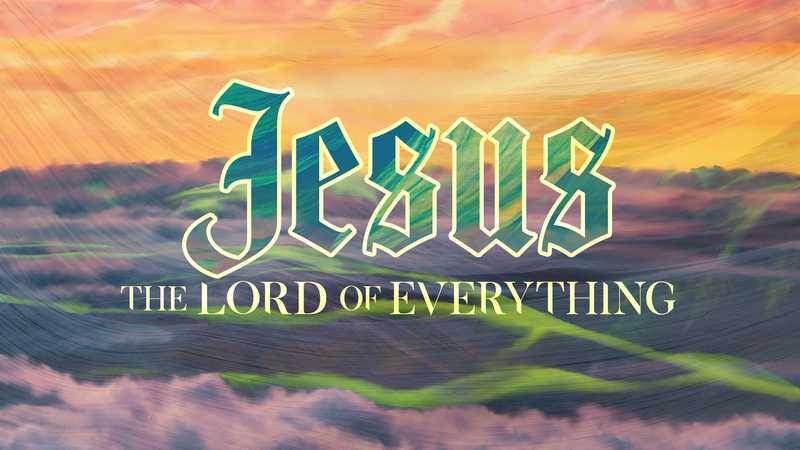 Jesus is the Lord of everything. Join us as we continue our study on the Gospel of Luke with this 8 part series. When the peace of God’s presence fills our hearts, worry has to go. Possess your possessions, but don’t let your possessions possess you. It’s not enough just to do the right thing; we’re to do the right thing with the right motive. Dynamic, intimate and persevering prayer is the key to Kingdom power and peace in one’s life. When we come to the nail scarred feet of Jesus Christ and sit, learn, worship Him, and make Him a priority in our life, He will straighten up those areas that are out of order. Jesus calls us to go out of our way to help people in need with no expectation of thanks or recognition. True followers are made in a moment, but proven over a lifetime.